Merely 45 minutes away from Dubai, the topographical wonder of Ras al-Khaimah entices travelers from all over the world. 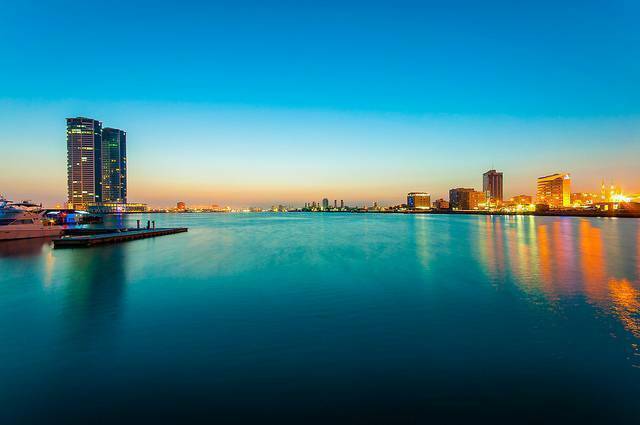 An amalgamation of beaches, deserts, rugged mountains, teal lagoons and dense mangroves, the city offers a plethora of activities for people of all ages. International five star hotels are plenty, providing world class services at value for money costs. Outdoor enthusiast are sure to fall in love with Ras al-Khaimah. From aviation lessons, to surfing, water sports or desert camping, the city has it all. One can visit the old-dated historic sites or sunbathe by the white sandy beaches while enjoying the year round warm weather. The Iceland Water Park and RAK Go Karting circuit will ensure that families have a fun few hours. Among other activities, one can also visit the shooting range and the lush green golf courses to enjoy some quality time with fellow companions. The desert safari is a must, especially stopping by at an oasis desert camp to relish local cuisine and watch belly dancers bring out the best of Arabic traditions. To pump up the adrenaline, a 4 hour hike up the Jais Mountain is apt, and will make one witness astounding views of the beautiful city below. Ras al-Khaimah is a gem among other rocks, waiting to be discovered for its beauty and balance.